The US Justice Department announced on Wednesday that Volkswagen would pay $4.3 billion in civil and criminal fines and plead guilty to three criminal charges pertaining to the automaker’s diesel emissions scandal. The DOJ also announced an indictment of six high-level VW Group executives, who are charged with lying to regulators and destroying documents. Working with US Customs and Border Patrol, the DOJ brought against VW Group charges of defrauding the US government, committing wire fraud, and violating the Clean Air Act. 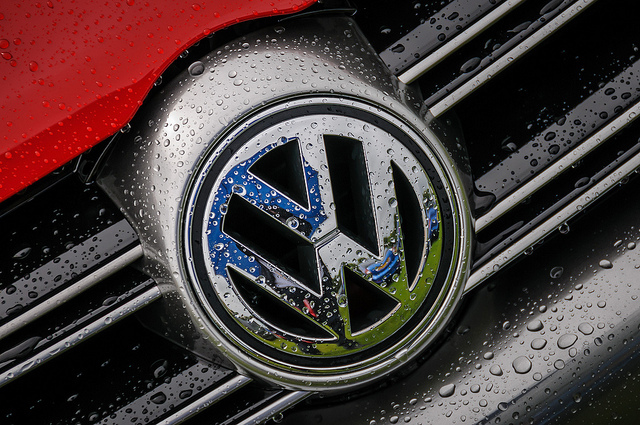 As part of the settlement, VW Group has agreed to submit to three years of criminal probation, which will require the German automaker to “retain an independent monitor to oversee its ethics and compliance program.” It has also agreed to cooperate with the DOJ’s ongoing investigations into individual executives that may have been involved with the scandal. For the past 17 months, the automaker has maintained that none of its executives were involved with the diesel scandal, in which illegal software was discovered on Volkswagens, Audis, and Porsches to alter the cars’ emissions controls depending on whether the cars sensed they were under real-world driving conditions or lab conditions. Instead, VW Group claimed, “rogue engineers” were responsible for the placement of the emissions cheating software on the cars.